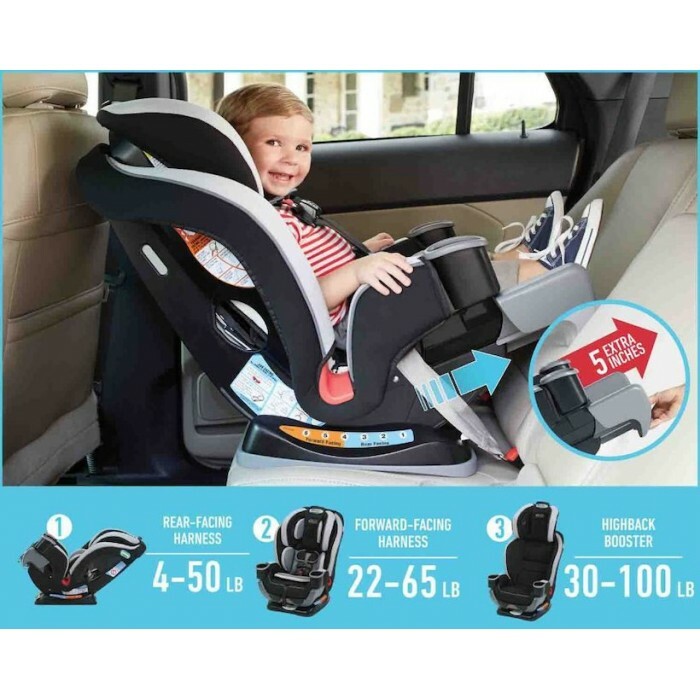 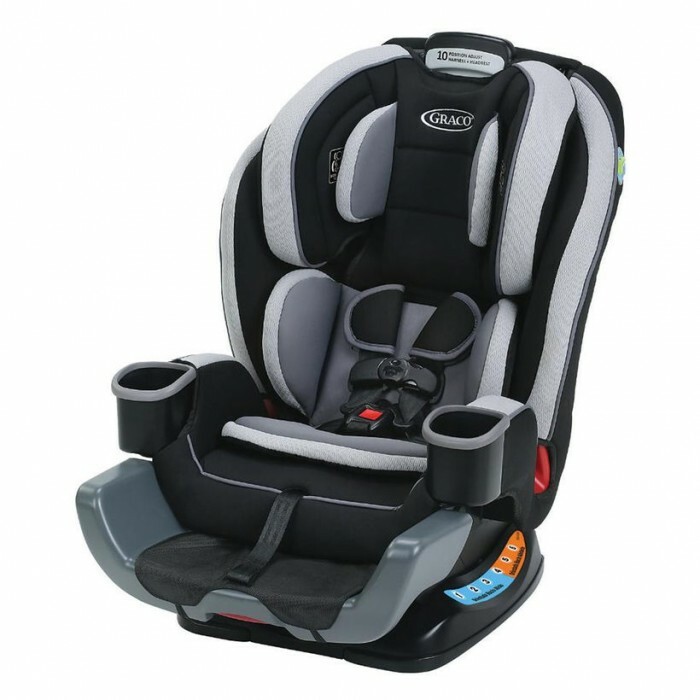 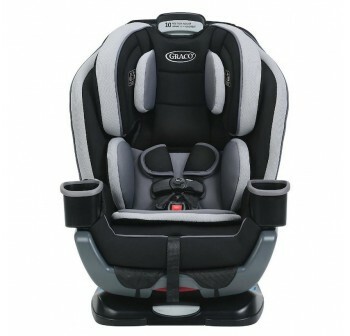 Ride rear-facing longer with the Graco Extend2Fit 3-in-1 Convertible Car Seat, featuring a 4-position extension panel that provides up to 5 inch of extra legroom for your growing child. 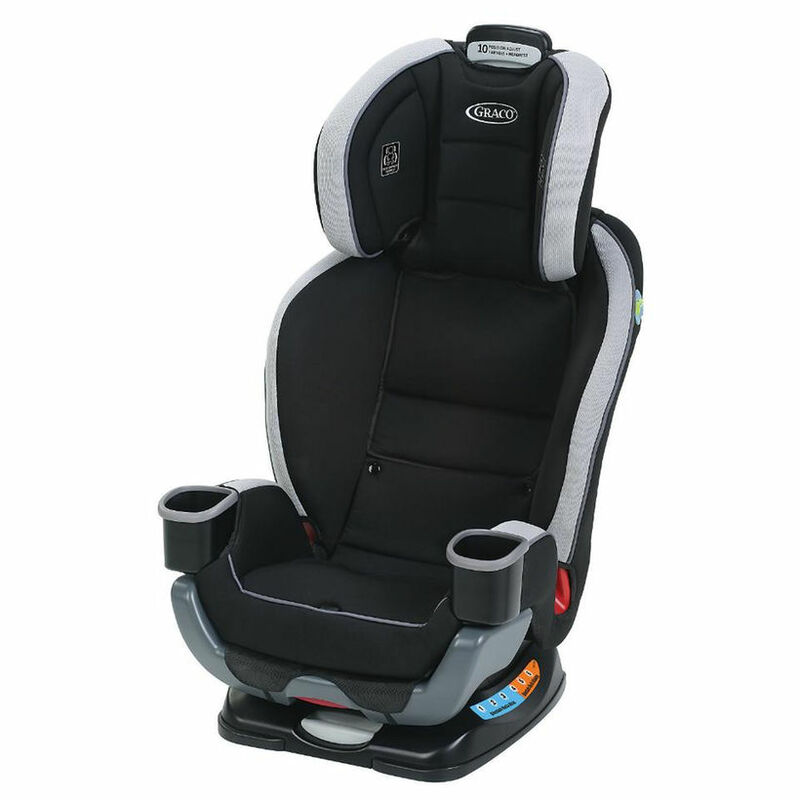 The 3-in-1 Seat takes your child from 2.5 to 45 kg! The Extend2Fit 4-in-1 Convertible Car Seat can be used rear-facing from 4-50 pound, forward-facing for toddlers from 9-29 kg and as a high back booster for big kids 13 - 45 kg. 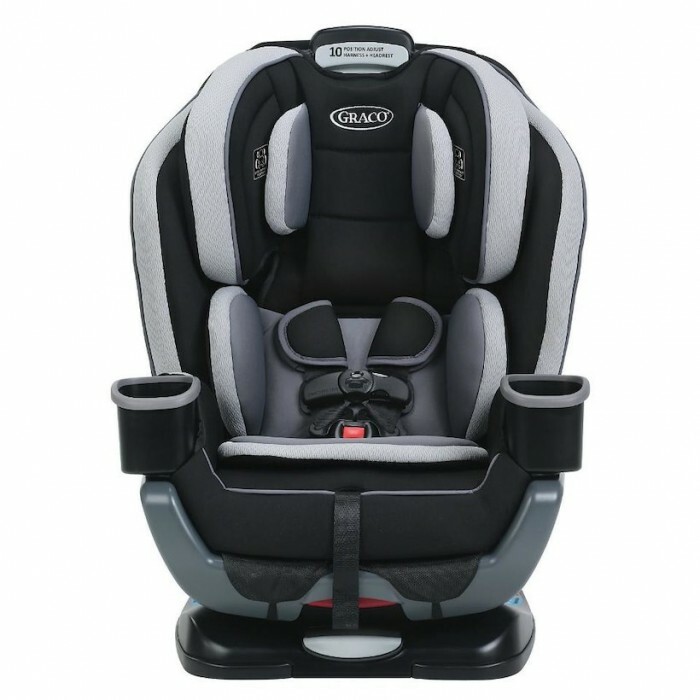 The Seat features Simply Safe Adjust which allows you to adjust the height of the harness and headrest without rethreading, InRight Latch for a one-second Latch attachment and Fuss Free harness storage which holds the buckle out of the way, so it's easy to get baby in and out. 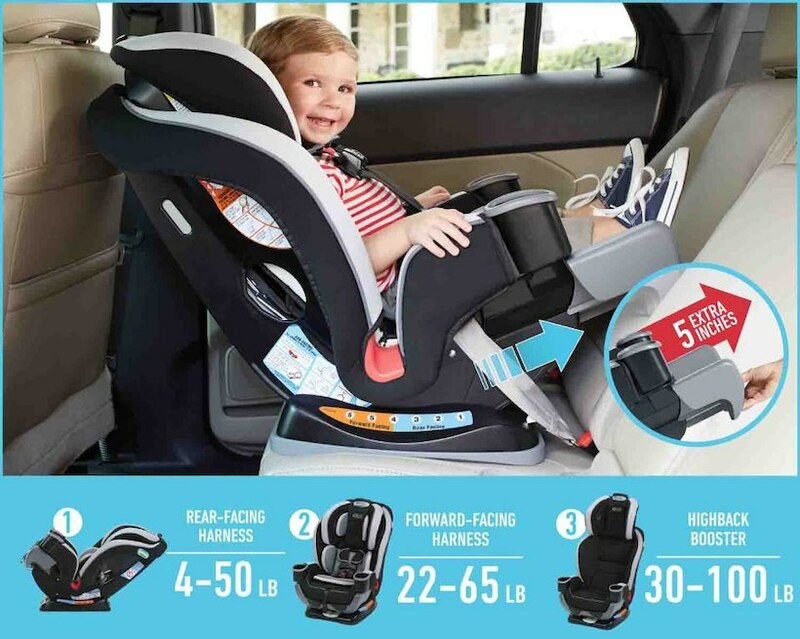 The American Academy of Pediatrics recommends children ride rear facing until at least 2 years of age and the Extend2Fit can help make the ride a lot more comfortable.